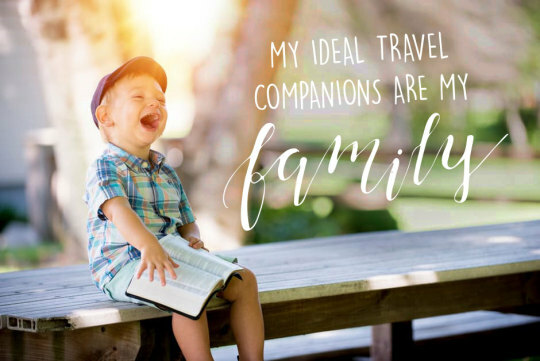 Traveling with the entire family is not easy – we won’t pretend it is – but it’s also not as daunting as we sometimes make it out to be! If the idea of packing up all the kids, getting them through the airport and reaching your destination in one piece sounds impossible, take a deep breath. We have a few suggestions that will keep your family happy, healthy and having fun no matter where you’re heading this summer! When it comes to packing, the best place to start is with the right vessel. If your kids are very young and you’re comfortable checking most of your luggage, put everything into a checked back or two and drop that off when you get to the airport. Carry ons can be convenient, but only if the kids can handle them on their own! You don’t want to be stuck carrying the kids and their luggage. While pricey, a Trunki can be a huge weight (literally!) off your shoulders. This little guy does triple duty as a rolling suitcase for your little one, a rideable toy and a vehicle for getting from one terminal to the other without relying on the speed of little legs! When it comes to things like diapers, wipes, formula or pumped milk, pack more than you think you’ll need for the trip. While airlines and other travel companies do their best to keep things running smoothly, there are often unforeseen circumstances that will delay your carefully laid plans. Don’t get stuck in Terminal C for an extra 8 hours with only enough supplies to get you through 2. Wherever possible, try to limit what you have to bring. With the exception of the things in your carry on, if you can buy extra diapers, wipes, etc. where your going, do it! You can make a supply run when you get there and save on precious luggage space. While there likely isn’t a way to get around bringing a stroller for your littlest ones, if you do a lot of traveling it’s worth investing in a compact, easy to stow option like the gb Pocket stroller or the Mountain Buggy Nano. Both of these options are lightweight, convenient and ultra-company when folded. Most rental car companies will have infant, toddler and booster seats available for a daily rental fee – but make you sure you book these in advance to ensure that what you need is available on arrival. Of course, we realize that when you’re traveling with kids, car seats aren’t extras – they’re necessities! We’ll get you set up with Premium Peg Perego child seats for no additional fee. Have any pro tips for traveling with the kids? Share them below!